Traditional metal conditioners are the products of auto chemistry, which are introduced into motor oil. Their main purpose of application is improvement of oil lubricating properties. The oil film with metal conditioner possesses high durability and creates conditions on the metal parts’ surfaces which protect from wear. The disadvantage of traditional metal conditioners is the absence of aftereffect that is the effect is no longer kept with the oil change. 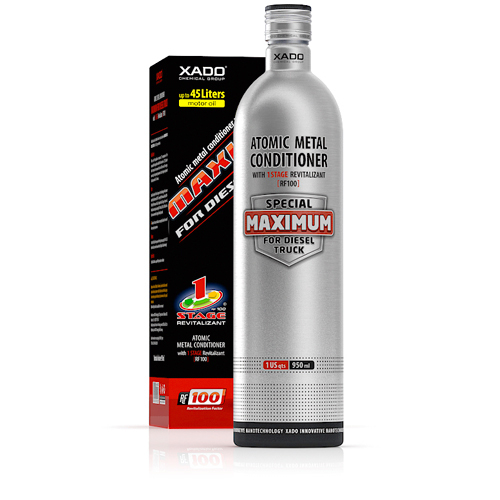 XADO Chemical concern offers metal conditioners of a new generation. For the first time the metal conditioners have been created on the basis of a three-component formula, containing sliding agent, revitalizant and metal conditioner. Now metal conditioners with atomic revitalizant solve two tasks simultaneously: traditional one – improvement of oil lubricating properties– and a new one – modification of friction surfaces (due to the revitalization effect). 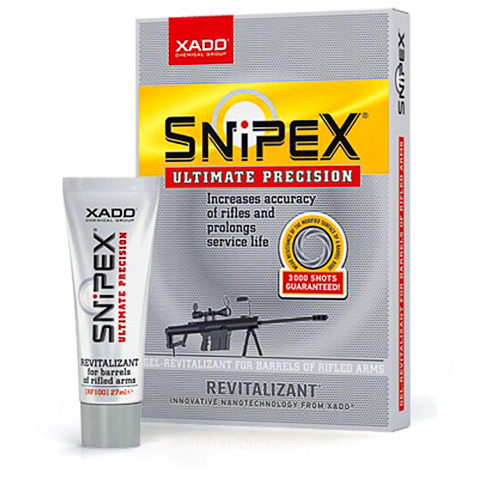 The new products differ in purpose of application and revitalization factor (RF). Revitalization factor is an efficiency index of restoration and protection of the engine against wear. XADO HighWay (RF 5,5). 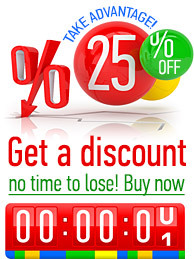 Provides reliable protection of the engine against current wear. XADO Tuning (RF 33,3). Provides adjustment of the engine parts so that minimum friction losses occur and maximum resource is provided. 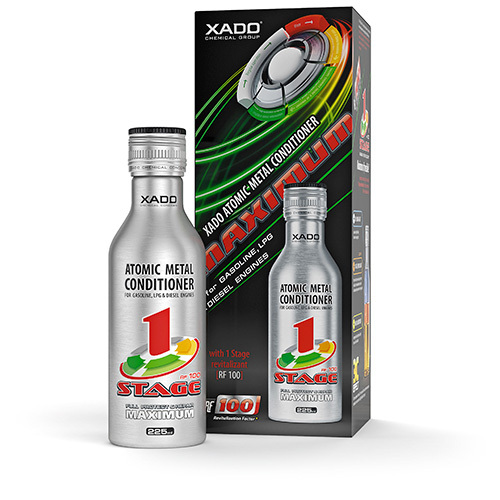 XADO 1 Stage Maximum (RF 100). Restores and provides top protection level of the engine in cars with more than 20 000 km run. 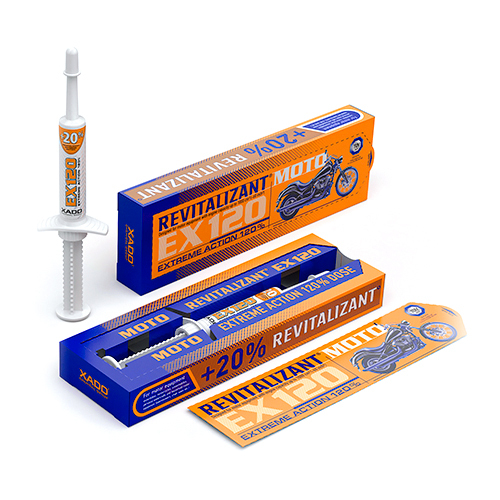 The unquestionable advantage of metal conditioners with revitalizant is the aftereffect as the metal-ceramic coating, formed by revitalizant, continues protecting the parts after oil change.. The owner of the company is naturally very pleased with the results and has now treated the engines and gear boxes of the entire fleet with XADO technology.